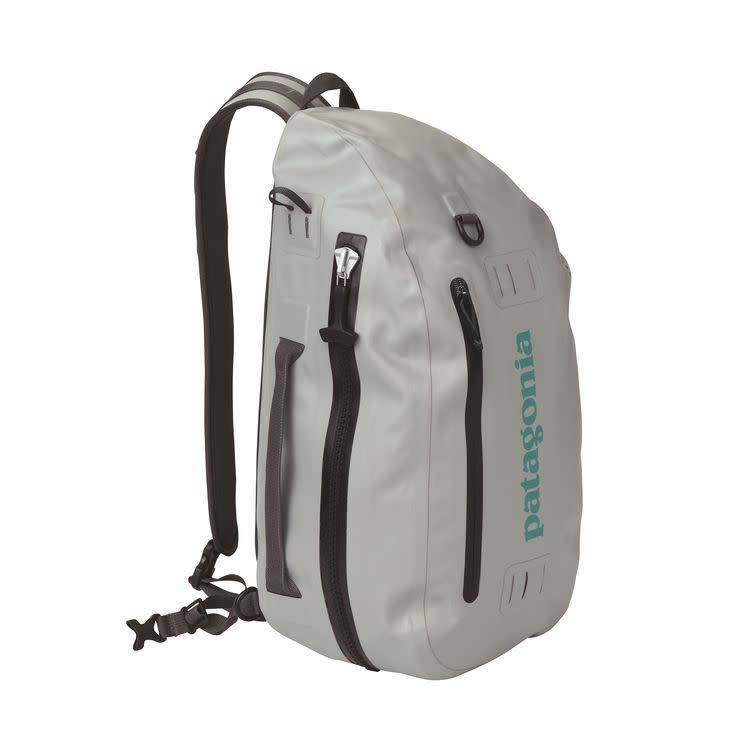 The Patagonia Stormfront Sling Pack is a waterproof beast.. The Patagonia Stormfront Sling Pack is a waterproof beast that lets you carry fly boxes, a spare rain jacket, lunch, a few cold ones, and your camera gear…probably all at once. 20 liters of storage. Has a great grab handle up top to use as a mini-boat bag, which is great when you're stopping to wade.